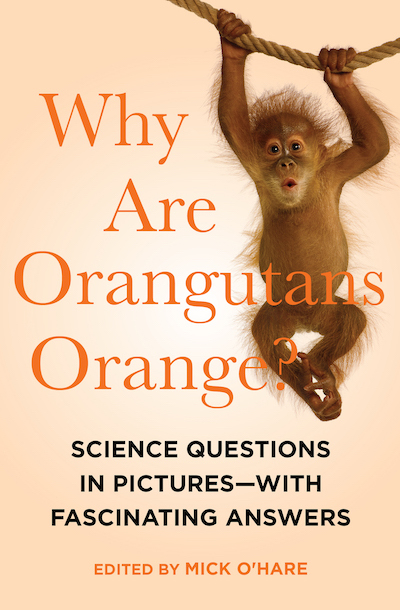 Fun science and nature trivia with full-color photos in a “deeply fascinating and occasionally rib-tickling book” (Booklist). From the editor at New Scientist who brought us such works as How to Fossilize Your Hamster, this is an illustrated compendium of facts that reveal the beauty, complexity, and mystery of the world around us. Drawing on the magazine’s popular “Last Word” column, Why Are Orangutans Orange? covers everything from bubbles to bugs, as well as why tigers have stripes and blue-footed boobies have, well, blue feet. With over two million copies sold, this series of question-and-answer compendiums is a delight for anyone who loves to learn!